For a good laugh, I highly recommend this game. 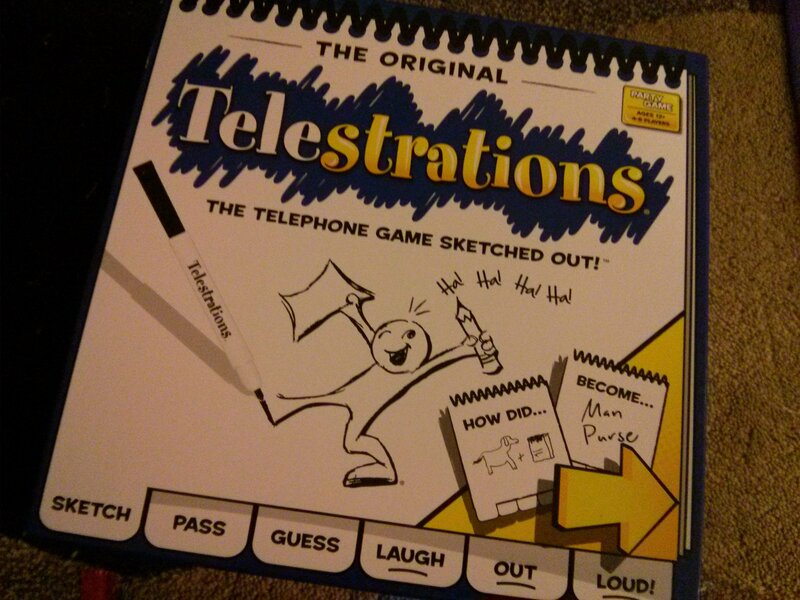 The best way to describe the game is it’s a combination of the classic game Telephone and Pictionary. I gave my nephew the six-person game for his birthday not knowing an eight-person and 12-person versions were available. The more the merrier. Seriously. The basic instructions: draw a word on the given card, pass your sketchbook to the person to your left or right, that person looks at your amazing and obvious drawing and writes a guess on the next page of the sketchbook, the third person receives the book, reads the word, and draws the word. Eventually, your sketchbook will return to you. What’s your guess? If you answered a candle, then you’re right! Beautiful rendition of a candle, right? I think so. One of my better drawings in the game. 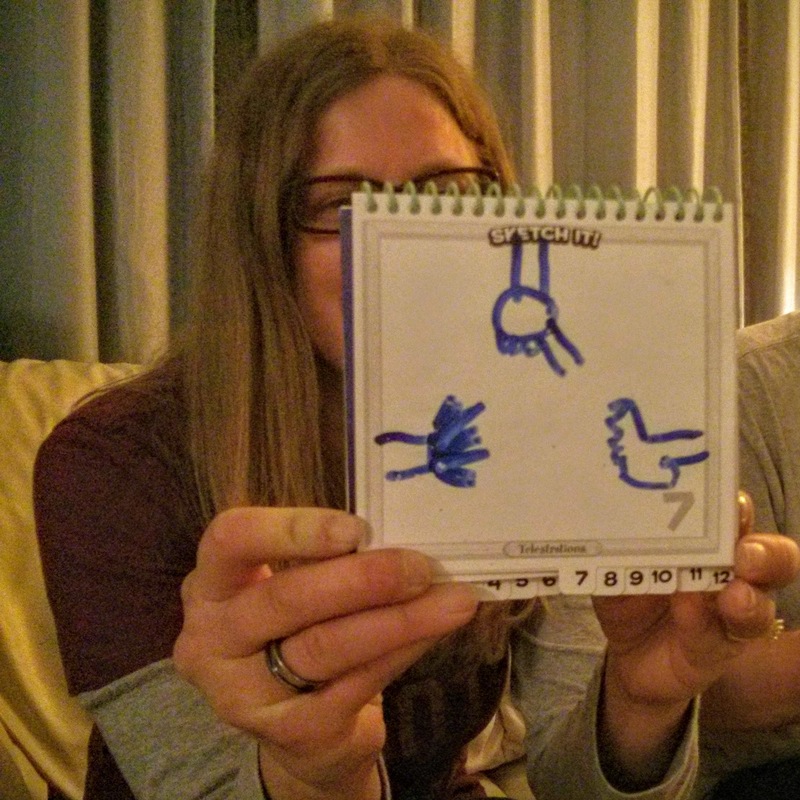 Apparently, my 15-year-old nephew thought the picture looked like a cannon shooting candy corns. 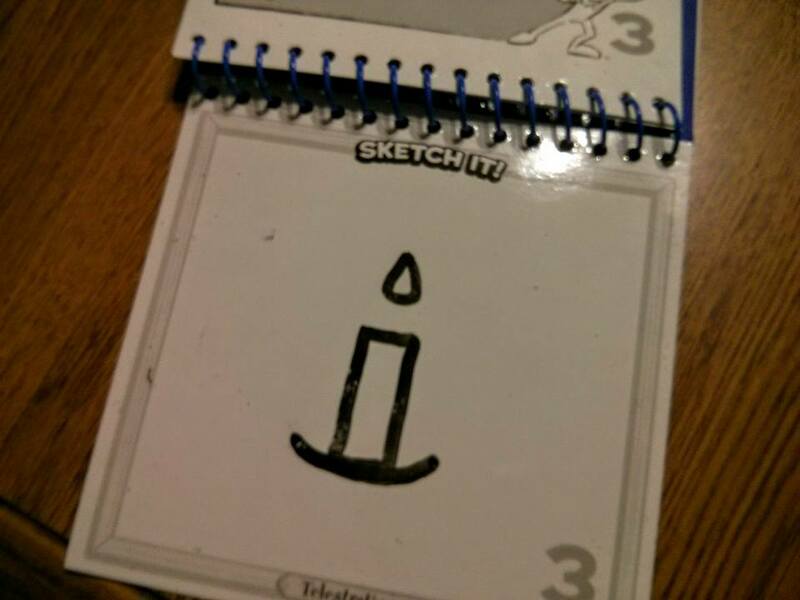 He said if I had drawn a wick, then the correct answer was just obvious. 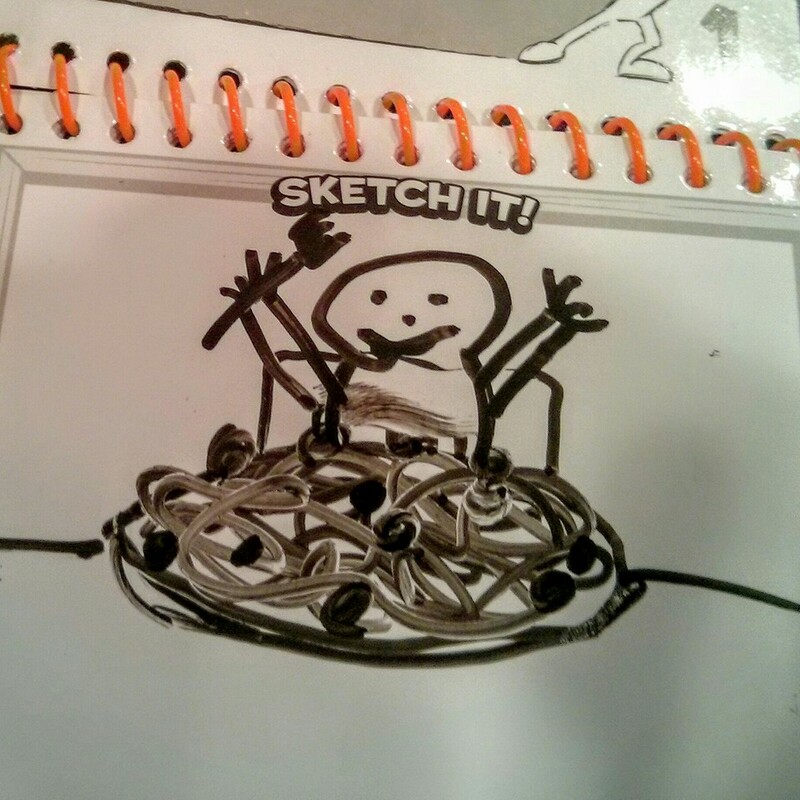 I don’t know why my cousin’s quick sketch of spaghetti and meatballs makes me smile every time I see it. Because my cousin took his sweet time with some of the pictures, we eventually nicknamed him Picasso. I have so many funny memories of playing that game with my sisters and cousins. Any guesses? I can’t remember what my sister guessed, but it wasn’t the correct answer. Answer: paper rock scissors. I highly recommend buying the game but another set of dry erase markers is needed. The markers that come with the game aren’t the best. Just trust me and have a second set markers ready. I bought this game on your recommendation for a game night with friends, and we had such a good time. oh my goodness! 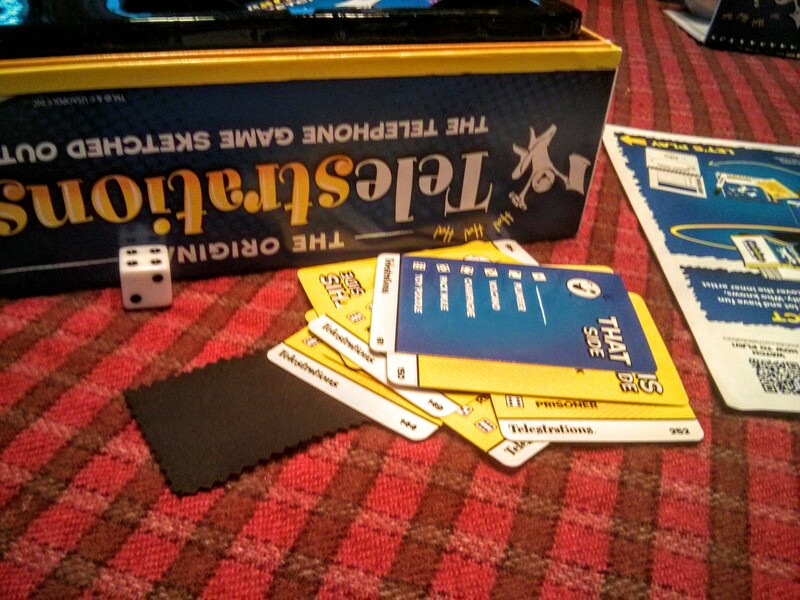 I can’t remember the last time I laughed that hard during game night. It was so awesome. My cousin brought this game along during a family weekend, and I remember reading your review about the game. HILARIOUS! Some of my other cousins were uncertain about playing the game, but once they started playing everyone loved it. it was so fun.